Not much to report this time after writing this on Monday last week and then resting. On Friday I went out for a small jog just to test my massively bruised and painful balls. Of my big toes! Jeez. Anyway they passed. On Saturday I went to Preston Park parkrun just to jog it in preparation for the Hastings 5 mile race. 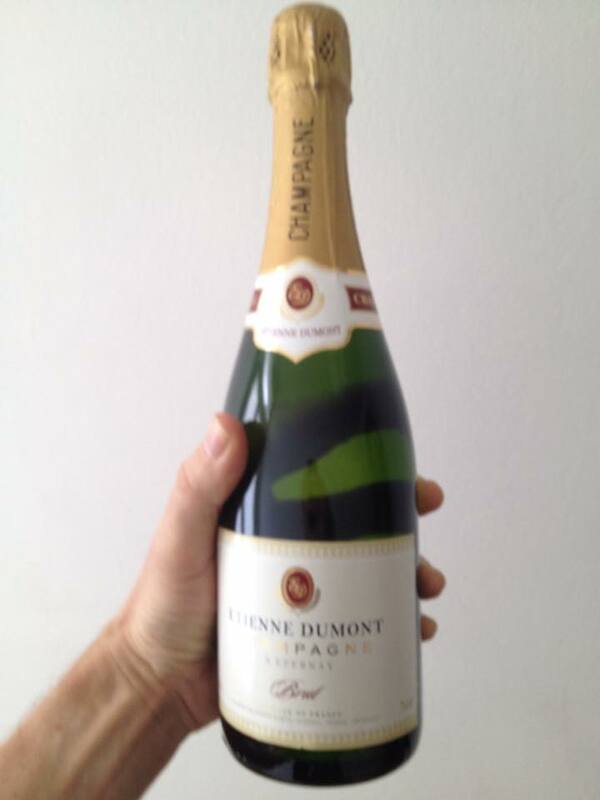 Also to collect my champagne which I won for being 3rd female over the three races last weekend. Thank you to Mal for collecting it. After not downing the whole bottle in a fit of recklessness it was time to jog round. An easy 23 minutes. 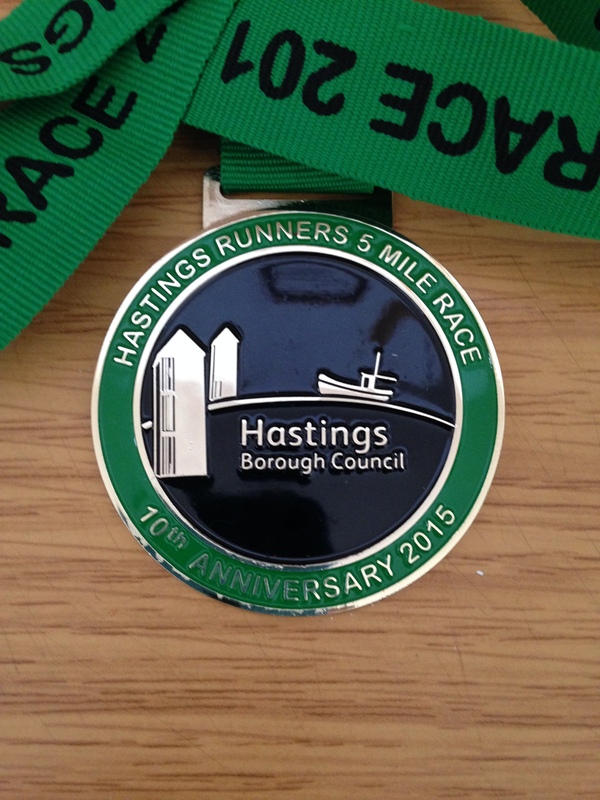 Today I headed over to Hastings for a 5 mile race. I haven’t done many 5 mile flat road races so I decided a pb might be on the cards. The only race I could think of that was similar was the Midsummer 5 that I ran in 2013 (bloody 2013) where I clocked 34.42. This should have been an easy time to beat so a reasonable target given that I am still mainly knackered from last weekend’s endeavours. After arriving courtesy of Dan (thank you) to a misty cold seafront I was pleased when the mist lifted and the sun arrived around half an hour before the race started. I had decided to dress for May regardless of the weather so it was the first time in just a vest without hundreds of under-layers. I had brought my visor too so I donned that for extra blinkers. Soon enough it was time to go. 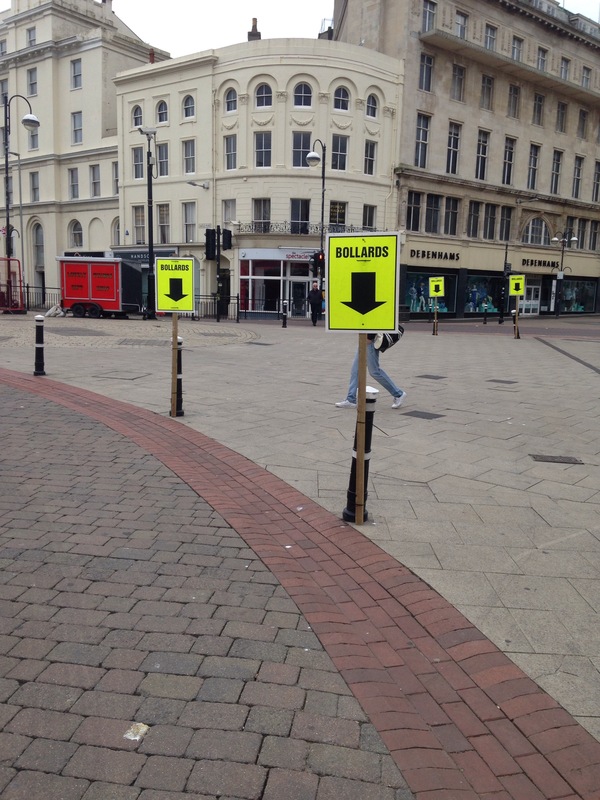 I managed to stick with Caroline, Vicky and Emma for about 60 metres before they disappeared into the unknown. Which soon became known as a wee-smelling promenade archway. It was very slippery, probably from them vainly trying to hose away the wee. After what seemed like days I passed the 1 mile marker. Oh dear. This was going to be a loooooooooong race. Many people were passing me. Many more did. I passed a few. Ali told me to “come on” as she passed and I managed to keep vaguely with her for the remaining 2 or so miles. I don’t know why but this race seemed to go on and on and on. The mile markers were at least 2 miles apart. Finally I reached the end. Couldn’t even muster a sprint finish and forgot to look at the finish clock. Rob texted me my finish time before I’d even seen it and I discovered it was 34.20 (a 22 second pb). This didn’t seem very good but then Caroline reminded me that I had just done the threekend. She said it was amazing I’d actually managed to get out and do it. This made me feel a bit better. Also it means I have a really soft pb to smash next time I do a 5 mile road race. Only 17 miles for the week but I don’t feel any better for it.